Latex free – Available in 5 sizes for the perfect fit! Visit our Sizing Tips below, Discounts HERE & Reviews here! 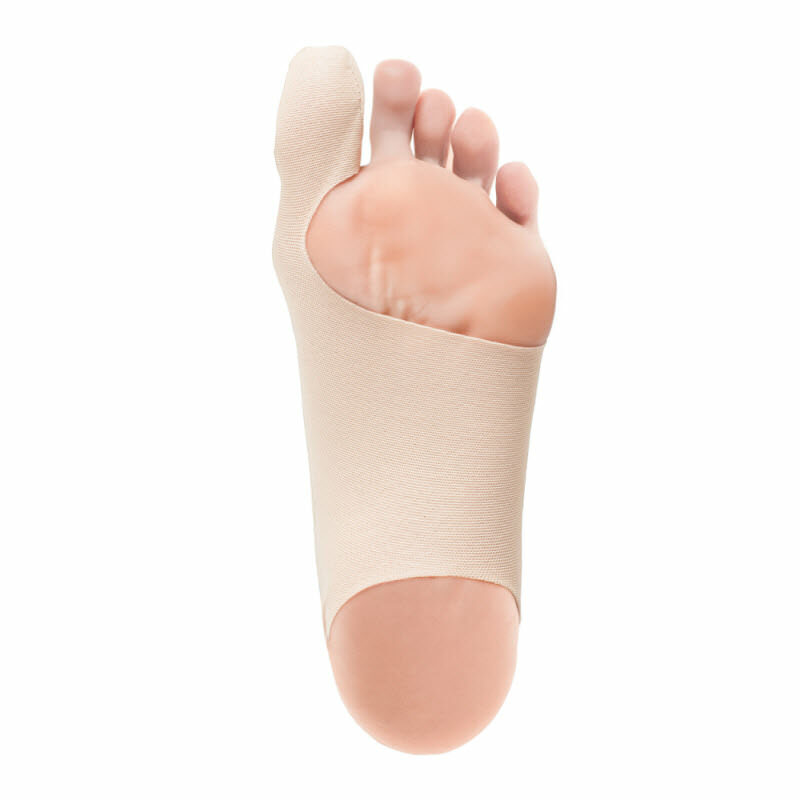 An Effective & Natural Solution to Bunion Pain – Without Surgery! Suggested wear time is 2-6 hours initially and then gradually increasing wear over time. 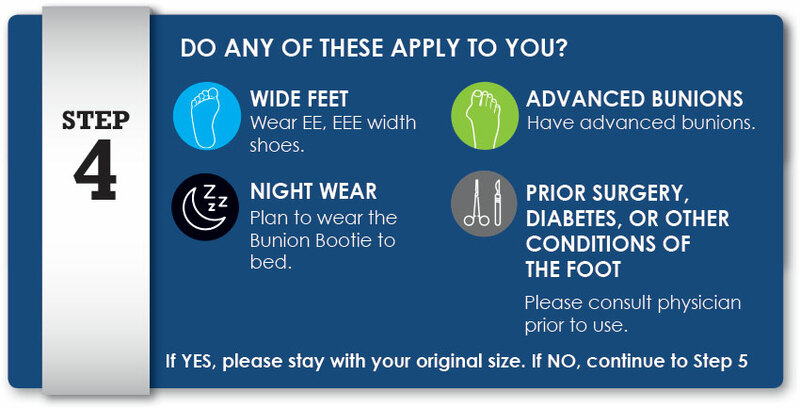 The Bunion Bootie should feel snug on your foot but not uncomfortable. The material will relax slightly after the first few times wearing it so if in doubt or between sizes, most people typically go with the smaller size. 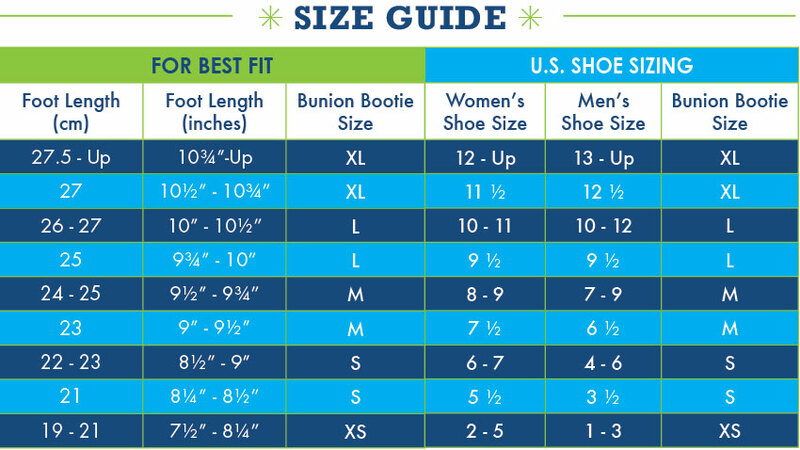 Our Size Guide is still just a guide to help you find the best fit possible, but every foot differs in shape and size so remember to measure both feet. If you feel you did not purchase the best size for you, we are happy to exchange your Bootie anytime within the first 30 days. 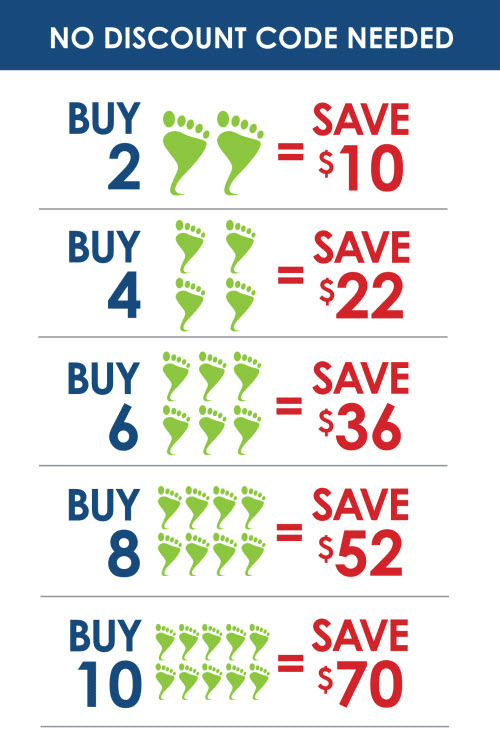 See our Returns and Exchange Policy here. Actual customer photo provided to Bunion Bootie. *Proper fit is needed and individual & temporary correction results may vary.